3d sport people illustration. 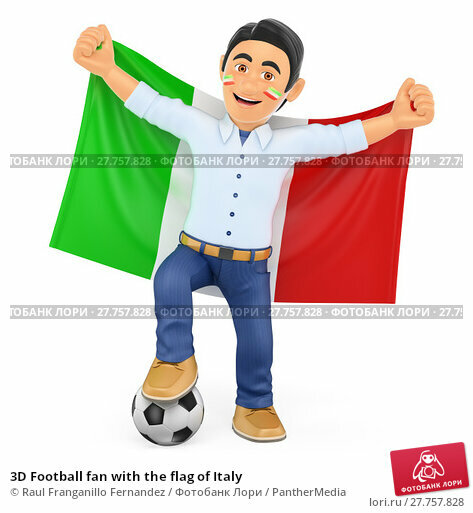 Football fan with the flag of Italy. Isolated white background.